There’s a very good chance that this will be the last year that I will be married. Though we have been separated for almost a year and a half, technically we are still locked in union according to the law. I still help pay his student loans. He is still on my health insurance. Neither of us is in a rush to get this thing finished, to break apart a union that is 16 years in the making, but we also know that eventually the cord will have to be cut and ties severed. Sometimes I honestly don’t know which times we’re harder. Was is the years we spent distant and cold, simply playing the part of husband and wife, the outside world oblivous to the struggles we were having within ourselves? Was is the year I said I was leaving, but had to stay, the couch my permanent home, so much hate traveling back and forth between us while our children looked on, bewildered and overwhelmed? Or was it this year? The year filled with anger and remorse, both wanting to be with my kids full time and knowing that doing that meant hurting all of us in the process. I simply can’t be sure. The only thing I do know is that all of them were hard and all of them have taken an irreversible toll on me. Anger, guilt, despair, panic, and disappointment and utter sadness have been my constant companions and some days it takes every effort possible just to remind myself to take in air so I can keep living. I’ve spent so much of the last year and a half fighting with a person I was supposed to love until the end of time. He knows how to push my buttons better than anyone else and knows exactly what to say to make me go from quiet and content to a rage filled nightmare. Sometimes I think he does it accidentally, forgetting how much I look into every word spoken, sure there are hidden meanings. 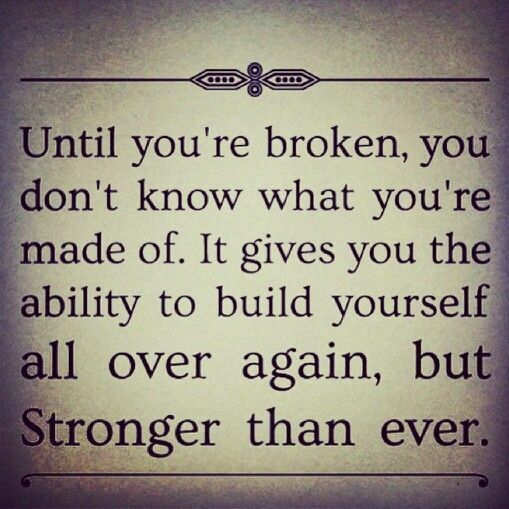 Other times I know it’s purposeful, and those times are the hardest to bear and the hardest to break free from. Because how in the hell did we get to this place where we’ve become vindictive and spiteful to each other on purpose? The other day we texted back and forth about something completely innocuous; a movie quote from a movie I know is one of his favorites. It was a short, but lovely, conversation simply because it seemed so easy. And then, of course, in true Cassie fashion, I started to cry. I wanted to crawl into that conversation and live there because for the first time in a long time, I felt safe in that relationship. Did I want to get back together? Absolutely not. We were horrible as a couple. Not in the beginning, but in the many years that followed. Our relationship was passive aggressive at best and self destructive at worst. We were mean. And nasty. And horrible to each other. And that’s putting it lightly. Love should bring out the best in two people and for us, it didn’t. Not anymore. But that simple conversation showed me something I hadn’t seen between us in a long time. It gave me a glimmer of hope that maybe one day all the conversations could be like this. Maybe it will get better. And while we may not ever really be friends, maybe we would stop intentionally trying to hurt each other in ways we only know how. I think maybe I’m having a mid life crisis. I’m only 37, so I sincerely hope not. Since I don’t really know when midlife is, maybe I’m just always in crisis. That sounds a bit more like it. Happiness in some life aspects seems to be taking its toll and I’m struggling lately. While my “relationship” with my ex is always in turmoil, my other key relationships seem to be working rather nicely. It took me a long time to actually feel confident in my life with Joe. Seeing as both of us were with other people when we decided to be together, the constant wondering if he’d rather be back with her was always in my mind. Now, not so much. I’ve accepted the fact that he wants to be with me and with that acceptance it feels like a giant weight has been lifted. Additionally, my relationships with my kids has never been better. While I wish I could see them every day, I do get them for 5 days a week so I know I am lucky. When they are with me there’s not a lot of emotional breakdowns. There’s the age appropriate ones of course, but no more of the tantrums and fits where I would contemplate calling a priest for an exorcism. Without all of the hostility and toxic air that Mike and I would spew around the house, they are thriving and I love having this daily reminder that I did the right thing even though it was incredibly hard. But now, in the absence of these major life instances to worry about, I actually feel a loss. One might think that now that I have these things worked out, it’s time to reflect on other items that may have been plaguing me but that I’ve brushed aside. Yes, this is probably true, but I feel like it’s more than that. It’s almost as if I’m scared of happiness. That I look at myself being content and happy and immediately begin to wait for the other shoe to drop. I begin to worry about not being worried about something so I find something to worry about (the ever present vicious cycle). I think that’s why lately I have been so focused and seemingly unhappy in my career. For me, the Sunday scaries seem to be a thing of the past…because now they begin on Friday night. I spend my entire weekend with the idea and unhappiness of going back to work on Monday looming in my mind. AND. I. HATE. IT. I find new causes and excitements each day. I get excited about buying in bulk and reducing my plastic usage. I get excited about making muffins with a new recipe. I even get excited about starting a new book. But I can’t get excited about going to work. Don’t get me wrong, when I get there it really isn’t that bad. I love my students. I love feeling like I’m making a difference, at least in the life of one child but ever since I switched schools my enthusiasm for teaching at all has gone lower and lower with each passing day. Yes, I always felt stressed about teaching and my job…but in a way that everyone does. This year is different. I feel like an outsider in this school, locked away in my own little corner, almost as if no one expects me to stay so no one makes the effort. 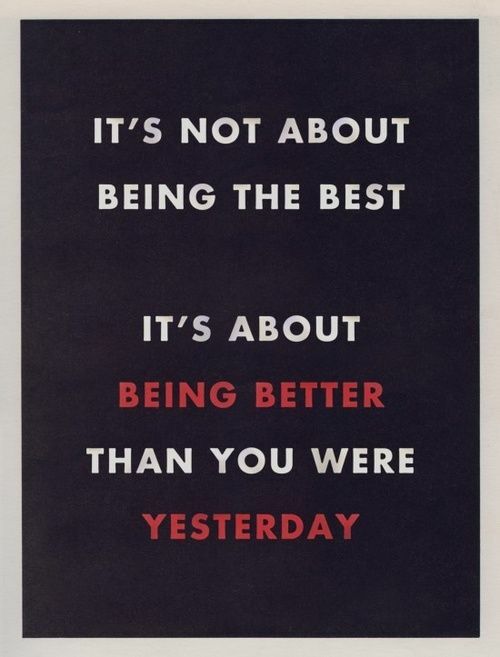 Everything seems so competitive, almost as if you can only do well if you are doing better than someone else. It’s completely exhausting. At Collington I was never really a favorite. I did my job and I did it well and for that I fell under the radar (not extremely motived to do everything in the school, but also not drowning). I knew the families and they knew me. And I had people. There’s something about working in a school in an atmosphere like that one. You need people. You are not going to make it without people. You band together because you know they get it. I don’t have people at my new school and that makes it rather lonely. That, topped with a complete lack of any praise EVER makes it a hard environment to work in day in a day out. So I stress. And I stew. And I worry. I deliberate. I panic…literally. And then I tell myself every single morning as I walk out that door that if it gets to be too much, I can quit. Or I quietly remind myself that I only have a certain amount of days left of this year and next year is sure to be better. And these two things seem to be all that is getting me through. I don’t know why I allow myself to be consumed with the stress of this job ALL THE TIME. I have to stop. I spend roughly 7.5 hours there each day. That translates to 35.5 hours at work. That’s it. Barely a blip on the 168 hours that are in a week. And yet I spend the rest of those hours worried about work! And the saddest part of all? I’m a 37 year old woman and I keep worrying about if I’m doing a good job. That’s it. No one tells me I’m not. But no one tells me I am. This is ridiculous. I have to be more present in the moment with my kids. I have to focus more on the good things than stress that is ever present. I have to stop letting 35.5 hours dictate the rest of my time. Tomorrow is a good day. Some days are for living. Others are for getting through. I had a whole post written. I was about to hit publish. And then I deleted it all. This morning I woke up from a bad dream and my day got worse from there. I stressed. I cried. I yelled. I threw a fit. I wish I could keep myself together better when I get like this. I get so worked up when I can’t have control over every situation. When I can’t solve problems that pop up in my life, I seem to lose it. Today I wasn’t the best mom. I was a bad wife. I was a bad me. Tomorrow I need to do better. I was going to post about all these things and how they made me feel like a failure as a parent. Then, as I log into social media for the five minutes I have to breathe, I see the destruction that is Baltimore. I see the peaceful protests being marred by the loiters and the rioters. I see stores being burned to the ground and people being hauled off in ambulances. I see a newly constructed senior center being engulfed in flames less than two blocks from the school where I teach and I wonder if MY 25 kindergarteners are all right. All of this is hitting way too close to home and I feel the tightness in my chest start to rise. And with that I realize that in the grand scheme of things being on “yellow” for one day is not the end of the world. And in 10 minutes Oliver will come to me for a hug and kiss and validation and be back to his normal self. And Charlie will finish her growth spurt and go back to my happy, adorable baby. And that none of this is catastrophic because we are all loved, and safe and ALIVE. All I want at this moment is to keep them home, little, and protected with me for as long as I can. 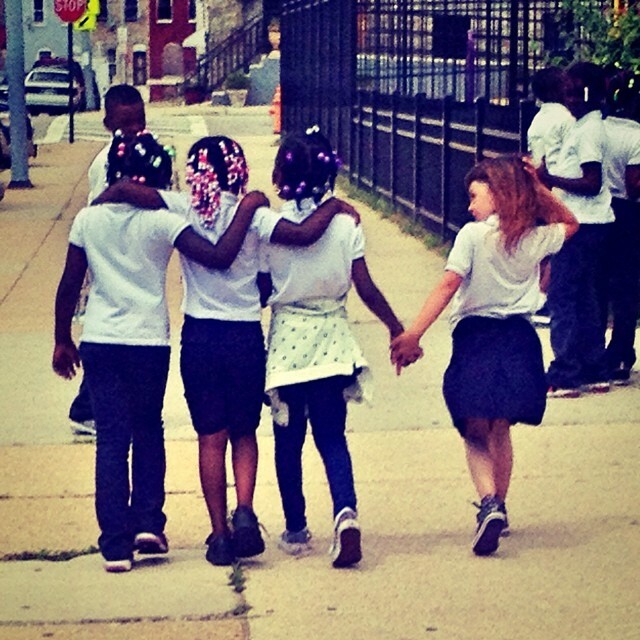 I want to teach them about these moments while shielding their eyes and hearts from them at the same time. This is exactly what I think as I turn off Twitter, rush upstairs, and hug all my babies a little tighter. Because right now, we are OK. This happens every few years. The proverbial itch. That feeling I get when I can’t sit still. It’s usually proceeded by a great life change. Two years ago it was the death of my father. Now, the birth of my newest child. With my father it had a lot to do with me rebelling against him, his death, and the need to prove that I am still very much alive, even when he was not. It was a need to prove that in a great upheaval, a great depression, I could still be happy. I felt the need to break free, go crazy, and prove that there was still “something” left in me. But now, I’m starting to get that feeling again. I look at my daughter as I hold her in my arms at just 17 days old and think that I have never loved anything in my entire life as much as I’ve love her. And for someone like me, this can be very scary because when you love something that much, you now have something to lose. Just the other day I was walking around my neighborhood and I couldn’t help but marvel at the fact that spring seemed to bloom overnight. The trees seemed to be bare one morning and then alive with light and color the very next day. And I found this to be the way I love my daughter. Unsure during my entire pregnancy if having more children was the “responsible” thing to do and then within minutes of her being born not being able to imagine living my life without her in it. But these are scary feelings and sometimes they seem stronger than I am actually able to process within myself…hence the itching feeling, hence the need to break out of my own skin and shed the uncomfortable feeling of being unable to process so much. The last time I made choices, and while many of them weren’t very wise choices, they brought me to the place where I am today. I’m stronger than I once was, I’ve discovered my love for running, I have an amazing new daughter, and I’m the most confident I’ve ever been. I learned a lot about myself during this time of upheaval, most importantly, to take myself seriously and not let anyone be in charge of my happiness. But two years ago I did it all wrong. Two years ago I decided that the problem wasn’t me and that it was everything else around me. At that time running away seemed like the only option. And while I didn’t run away per se, I left my life behind for a while and jumped head first into something different and something unknown. I assumed that this would help me feel better. I assumed that this is what I needed to survive. But what I realized was just the opposite. Running away from my life nearly broke me. I became a shell of the person I was and it took too long to rebuild myself. I don’t have that kind of time anymore. Now, things are different. The main difference, of course, was before I wanted to run away and now I simply want to run. I’m looking forward to being able to run again. To getting out there are pounding the pavement and smashing my problems as I work through them. Maybe this time the itchyness is a good thing; it’s a desire to get back to work on my and continue to my journey to becoming the best person I can be. And that’s exactly what I’ll do – for me, for my family, and now for my amazing little daughter; the answer I never new I was looking for. After each one of these observances I smile, laugh a little laugh, and state that it’s just the whole “not being at work that agrees with me”. True, I’ve been walking every day. True, I’ve lost 20 pounds and am actually under my pre-baby weight. True, my baby seems to do a great job for sleeping long stretches at night. But these are the observations from the Monet point of view. From far away it seems like my life after a newborn is a masterpiece. Rich in color, vibrant in activity, something you can hang on a mantel and then marvel. 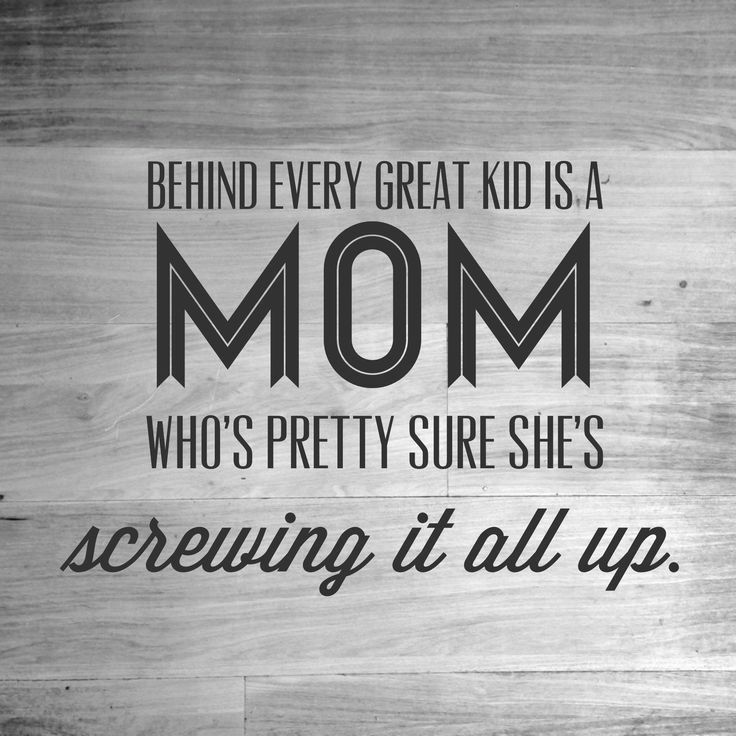 It seems like by kid #3 I have it figured out and “baby” motherhood, and “mom of three” motherhood is agreeing with me whole-heartedly. But here’s the trick: go up to that painting and stand so that your nose is almost touching. Now it’s a mess; a bunch of blurred lines, overly textured colors, haphazard in appearance and technique and that is more of a representation of my life these day. When you look up close you’ll see that I’ve been walking everyday because I don’t always have access to a car to pick the kids up from school (luckily we live close) and also because I need running the way some people need prozac, and since I can’t run (and don’t have prozac), I walk. I lost 20 pounds which happens to be all my baby weight and then some because during my pregnancy I was so stressed and had terrible heartburn so I never ate enough and therefor didn’t gain any weight (which, contrary to what some might think, is not a good thing). And the reason my baby sleeps so well? According to her doctor it’s because she’s not eating enough so her body is putting her in a hibernation mode to conserve energy. So today, I woke my baby up after 3 hours for her 3rd feeding after which she promptly fell asleep and while I should have been cleaning the house, or doing laundry, or any of the other 100 things that needed to get done while the kids were at school, I cried. Or if I’m being really honest I stuffed my face full of Ritz crackers and cried because I felt like a terrible mother (and then I felt terrible for eating the Ritz crackers). So not only was I feeling terrible, but then both the other littles were having trouble with their “listening ears” and I had to yell which made me feel even more terrible. And the icing on the cake (wait, there’s cake?) was the full on melt down I had at dinner when our rental company called and said they were showing our house tomorrow, which means I had to scrub it clean tonight. But it’s 3 hours later now. All the kids are in bed and asleep. I just ate a lovely chocolate bar and a spoon full of peanut butter. And perspective is starting to creep back in to my subconscious. In a few short hours it will be a new day and I’ll get the chance to start over again. Sometimes that’s really all we have to hold on to.